There may be fewer than two dozen like it worldwide. Behind baseball fields, a parking garage and a DMV sits an Arlington treasure. 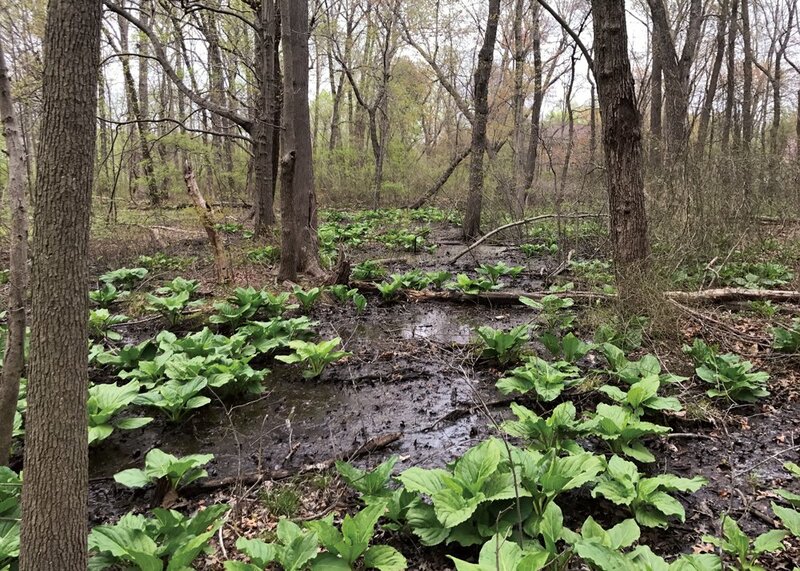 At first glance, the Magnolia Bog in Barcroft Park may not look glamorous, with its jumble of muddy puddles and leafy plants. But it’s actually a complex, interconnected series of springs, seeps, streams and swamps—a bog so unusual that it’s believed there are fewer than two dozen sites like it worldwide. “It’s a globally rare habitat…and it’s something we need to protect,” says Alonso Abugattas, natural resources manager for Arlington County Parks and Recreation. Named after the sweet bay magnolia tree that grows here, these wetlands follow the fall line, a series of rocky ravines and valleys that divide the Piedmont to the west from the soft sediments of the Coastal Plain to the east. A century ago, ecosystems like this one weren’t such an anomaly. “In the 1910s, you could get off at any trolley stop in the fall [zone] and find them,” says Rod Simmons, natural resource manager for the City of Alexandria. Since then, he says, urban development has paved over the bogs that once ranged from Fredericksburg to Baltimore. The county does offer guided tours with a trained professional. For details, visit parks.arlingtonva.us/events/barcroft-magnolia-bog-tour/.